I am a Flemish translator but I translate into Dutch. This may only be one short sentence, yet it can lead to so much more confusion. I mean… Flemish is a whole different language, is it not? To answer this question, we need to make the distinction between spoken and written language. 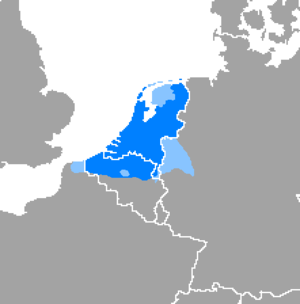 In spoken language there are considerable differences between Flemish and Dutch. They are similar to the differences between British and American English. That is also the reason that dubbed DVD’s usually contain both a Dutch and a Flemish version. However, this refers to spoken language. Translation is a whole different ball game and has nothing to do with spoken language. Written language is a different matter altogether. Most texts can be translated into Dutch both by a Dutch and a Flemish translator. There should be few to no differences. However, some translation agencies would not necessarily agree. Yet all things considered, good translators are professionals.They know what vocabulary and syntax should be used to write a text that is suitable for both Flanders and The Netherlands. Even the best Flemish or Dutch translator will occasionally use terminology or syntax that is just that bit more Flemish or Dutch. The reader will probably not even notice the difference. However, some companies, especially those in the Randstad (Amsterdam-Rotterdam-Den Haag-Utrecht), have their own (non- Dutch) language and are extremely intolerant, even towards fellow-countrymen from outside their own region. Should there ever be a problem, it is most likely down to the translator who is not capable of producing a quality Flemish/Dutch text or it is due to the intolerant attitude of the company or intermediary. Flemish words and Flemish syntax were not even considered correct. Even the leading dictionary, Van Dale, participated in this discrimination by giving all Flemish words a label but not doing so for the typical ‘Dutch’ Dutch words. The Dutch from the north was unjustly considered the only correct standard and all other kinds of Dutch were inferior and wrong. As history has shown, there has been a prevailing feeling of superiority among Dutch translators from The Netherlands over those from Flanders. Meanwhile, this feeling of superiority in The Netherlands has largely disappeared and has been replaced by a form of mutual respect and even interest in the language and vocabulary of the colleagues in the neighbouring country. In addition, Van Dale has decided to give a label to typically ‘Dutch’ Dutch words in order to treat both countries as equals. Some Dutch people are now also using typically Flemish words. It is, therefore, no surprise that the Taalunie (institution for Language Union) notices that the written language of both countries is increasingly converging. Now all we need is for some of the translation agencies and their customers to realize this! There are, of course, exceptions, for example when you have a text filled with cultural references or when the reader is addressed in a very informal way. In that case you need a local translator. In this case, it is very hard to write a text that can be used in both countries. However, these types of texts only make up a small portion of all translations into Dutch. Recently, a customer asked me to translate a Dutch text into Flemish. He thought this would require a lot of work. When I read the text, it quickly turned out that not much had to be changed to adapt it to a Flemish audience. Apart from a few things, the text could be perfectly used in Flanders and nobody would notice it had been written by a Dutch person. However, I did have to write Dutch words where the writer had used English or French! If you are looking for a Dutch language translator, you can work with both a Flemish and a Dutch translator unless of course your text contains a lot of cultural references or is very informal.